This promising pamphlet showcases a fresh and original voice exploring the self as proud outsider challenged by family, relationships and the world but refusing to compromise. The poet’s biography tells us ‘he thinks that not belonging is more interesting than belonging’ and this is certainly borne out in the poems. we broke off, laughing because something ached. The second stanza brings the speaker to waking in the present with the lover in his bed. These images are distinctive, and the phrasing is both evocative and unusual. Hair crunching? I know exactly what he means. If the first poem is about the benefits of connection, ‘Thirty-two lines on loss’ which comes later in the book, is all about the benefits of disconnection. There is a wonderful richness in the exploration of a day in which the speaker loses his glasses and almost enjoys the feeling of helplessness as he goes out ‘into the fog’. but when I went to leave, they were gone. is full of monsters travelling too fast. of functioning again. I hated it so much. stopped everything. Even the hate. There’s a lot packed into this thirty-two line poem as it navigates the high street, the café, the dangers of advertising, and above all how difficult it can be to confront the world with clear vision and look at it directly without ‘fog’ to soften it. One of the strengths of this very short poem is its balance of anger and compassion, the understanding that the grandmother’s frustration at her lack of opportunity is what turned her into the monster that nobody loved. in a house of secrets a mile off the track. in the night, trembling. There are bears in her sleep. with our axes and our noses and lifetime’s rage. we loved each other, without realising. What is clever is the mystery buried in the narrative: the group who are hunting for the missing seem to become a mob feeding off each others’ hysteria, projecting their own feelings of rage onto others. Are the skeletons those of the bears, or are they the bears’ victims? Was ‘the wild girl’ making up a story about them? Who are the monsters here? The bears or the people, or Goldilocks herself? to the bar and the toilet and looked at him instead. I myself am the son of clowns. I’m not entirely convinced by clowns as a sustained and sustainable metaphor in this context – their associations with laughter, silly costumes, entertainment, slapstick and circus rings, although visually interesting, don’t seem to support the poem at its centre. 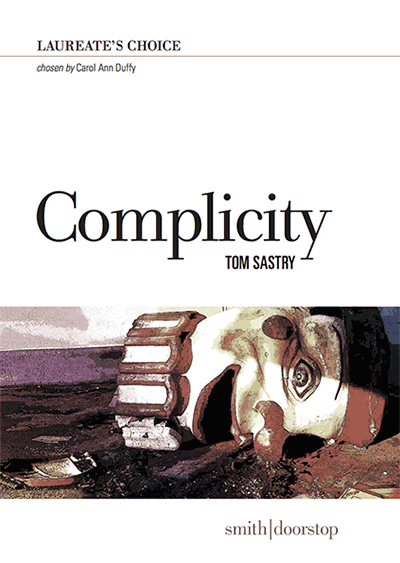 There is a pleasing variation of tone and form amongst Sastry’s poems, many of which benefit from their own ‘secret grammar’ and range from regular stanzaic shapes to ragged line endings, demonstrating the poet’s ability to match form and content. The poems are by turns vulnerable, angry and full of wonder; they are at their strongest when writer is being bold with language and image, using a developing diction all of his own which lends strong colour to his material. Unafraid to address large political and social concerns as well as smaller personal ones, this is an emotionally complex debut with a great deal of charm and freshness about it.